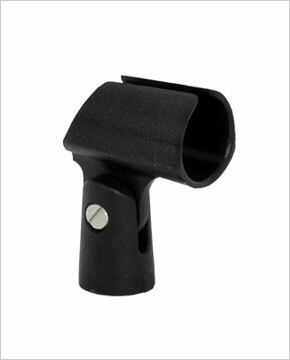 Resilient black plastic tapered mic clip. 1" major inside diameter and 7/8" minor inside diameter. Metal standard US mic threads for mounting.